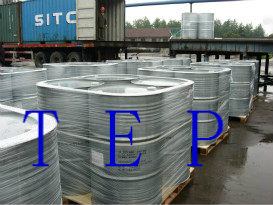 Triethyl phosphate TEP Drawback - ZhangJia Gang YaRui Chemical Co., Ltd. According to the China customs export tax rebate advisory network provided data, can find out the Triethyl phosphate TEP Drawback. The Triethyl phosphate TEP Drawback 9%, and I hope to help you. As the Triethyl phosphateTEP Drawback and other related information, please contact with Zhangjiagang Yarui Chemical Co. ltd.. If Triethyl phosphate TEP Drawback product is not what you want, we can be customized according to your needs, please send us your order to Email: sales@yaruichem.com , or click here to post your buying lead.